My card today features the Affectionately Yours Suite Stamp Set Love & Affection. I pulled one of the colors of the suite and made a two-tone card featuring Whisper White and Mint Macaron. The results are elegant and beautiful yet pretty simple to put together. 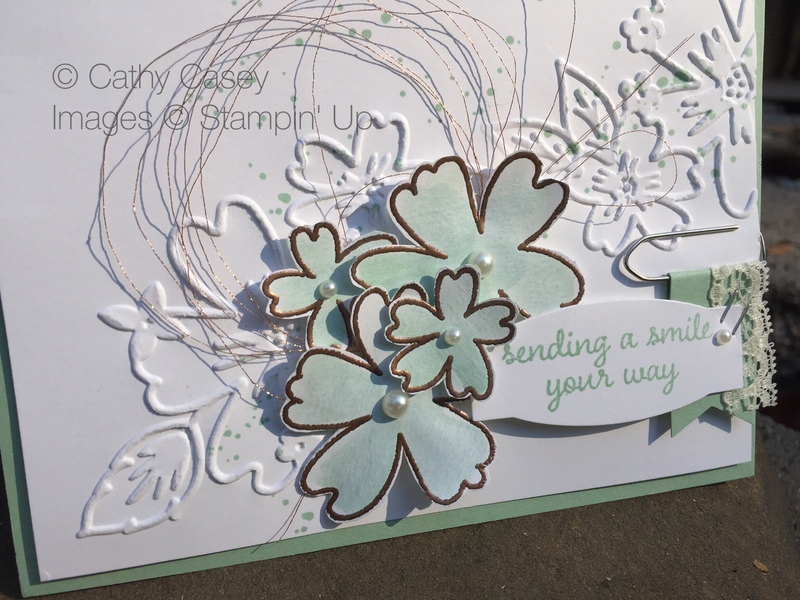 The Whisper White base is stamped randomly with an image from Gorgeous Grunge in Mint Macaron before it is embossed with the Floral Affection Textured Embossing Folder. The two flower images from the Love & Affection set are heat embossed in Copper and watercolored with Mint Macaron to give a soft, sweet color. After the paper dries the images are fussy cut. The sentiment is stamped in Mint Macaron on Whisper White and die cut with a die from the Project Life Cards & Labels Framelits collection. A piece of Mint Macaron is banner cut and layered over a paper clip with a tiny piece of Very Vanilla 1/2″ Lace Trim. The sentiment die cut is stapled to the banner as shown in the pic. 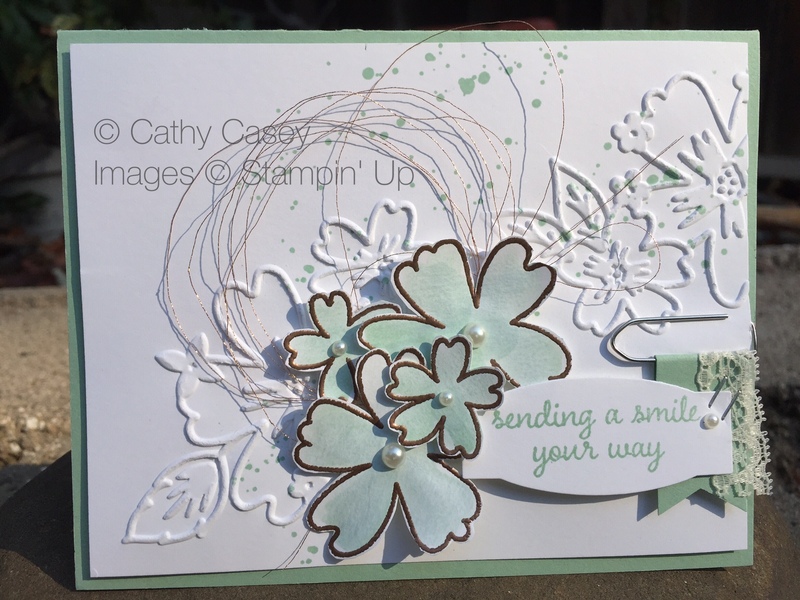 The cut flowers are layered with dimensionals to the card front with swirled Copper Metallic Thread underneath. The sentiment is attached to the card front with the paper clip. The finishing touch are sweet pearls added to the flowers and sentiment. I hope you are inspired by my pretty card! 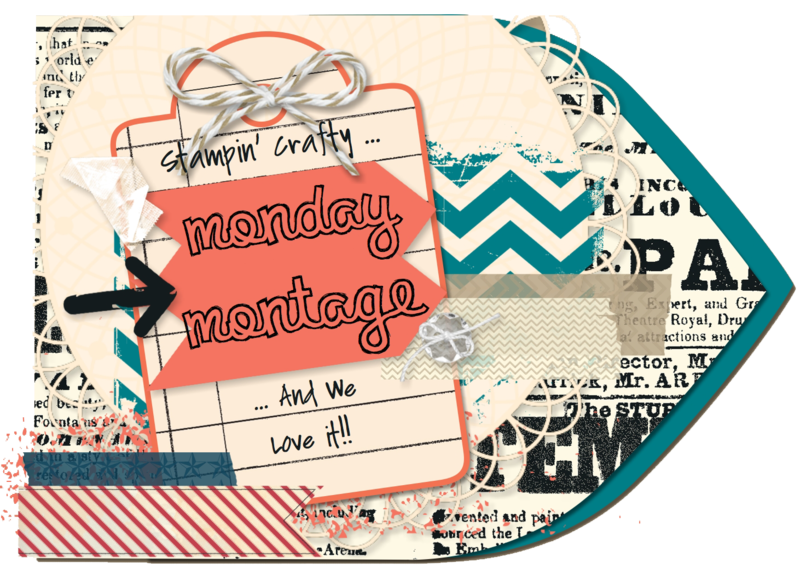 This entry was posted in 2013 Artisan Design Team Finalist, Cards, Stampin' Up, Thinlits Dies, Vintage, Watercoloring and tagged featured, Love & Affection, Montage Blog Hop, Stampin' Up, Watercoloring by kate80132. Bookmark the permalink. This beauty made me smile and my heart sing……gorgeous! What a beautiful card! I can’t wait to have a moment (or two) to make one myself! Thank you so much Connie! !